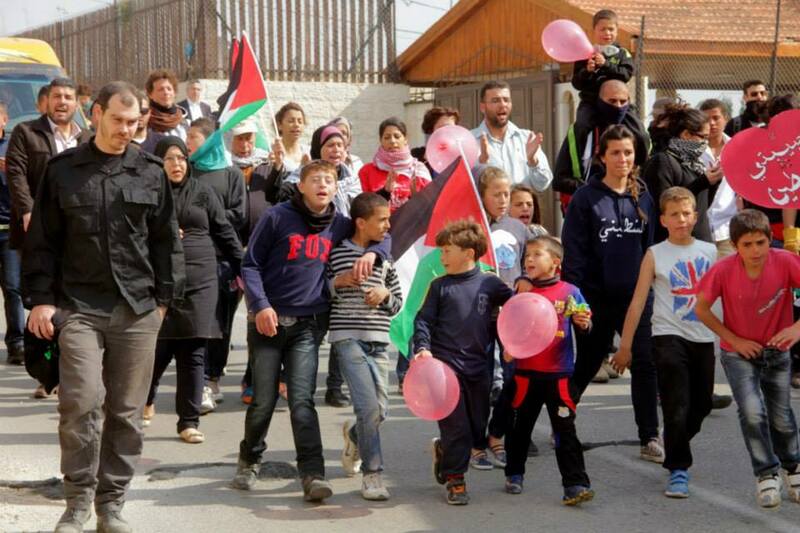 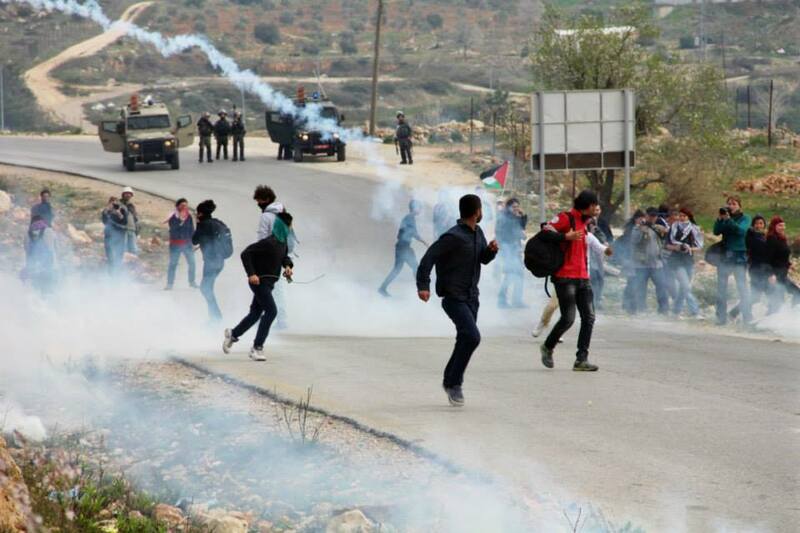 Israeli forces have brutally suppressed today’s protest in Nabi Saleh as they fired large quantities of teargas leading to the suffocation of tens of protesters including children and women in the protest. 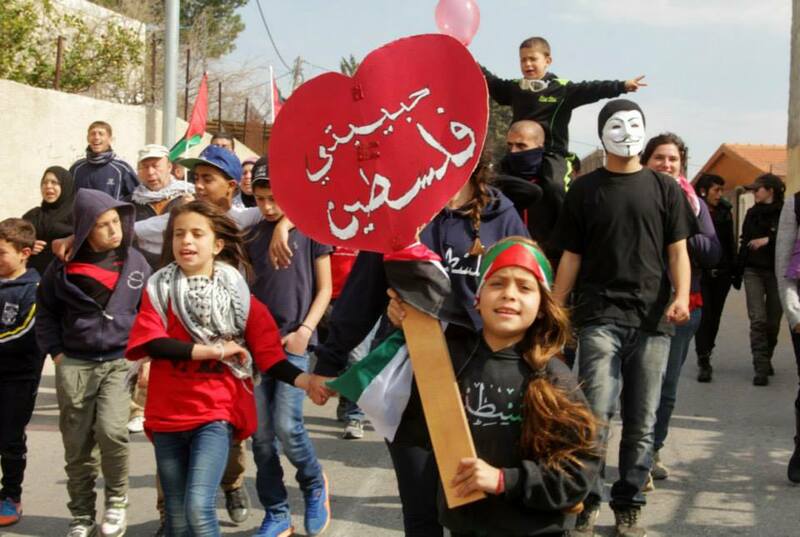 The protesters chanted for loving Palestine and against the Israeli brutal occupation and its refusal to any forms of justice and peace. 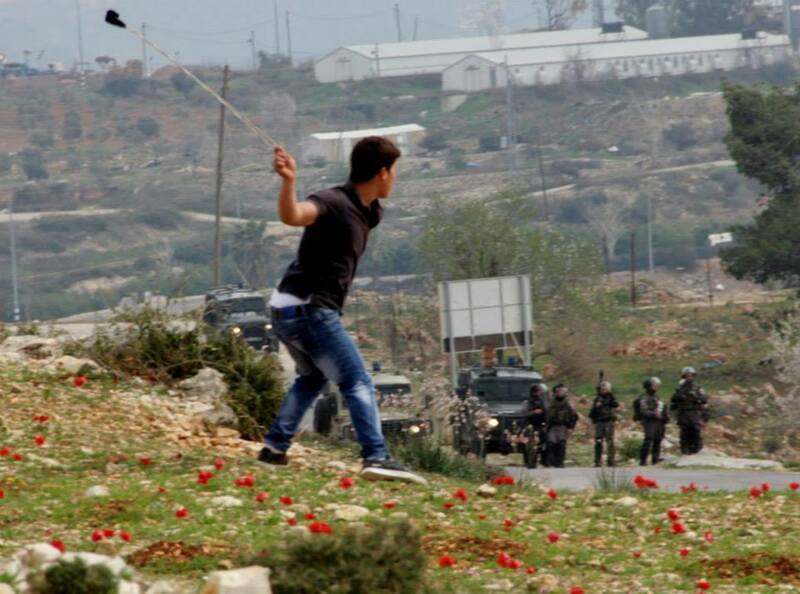 Israeli forces have also fired rubber coated bullets at the peaceful protesters and declared the area a closed military zone. 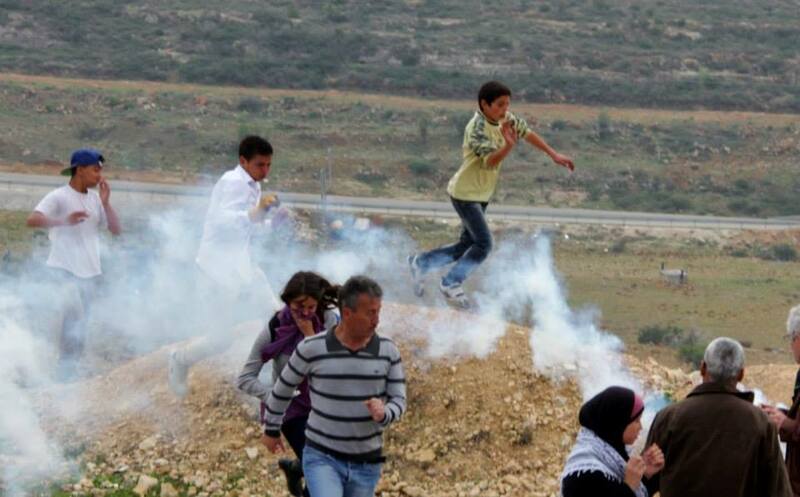 The protesters who wanted to reach the land threatened by confiscation were not allowed to reach the area and were met with teargas. 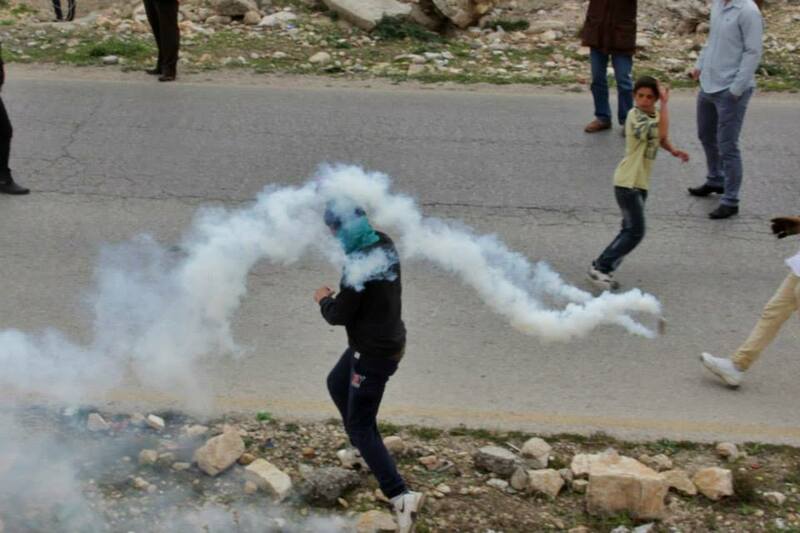 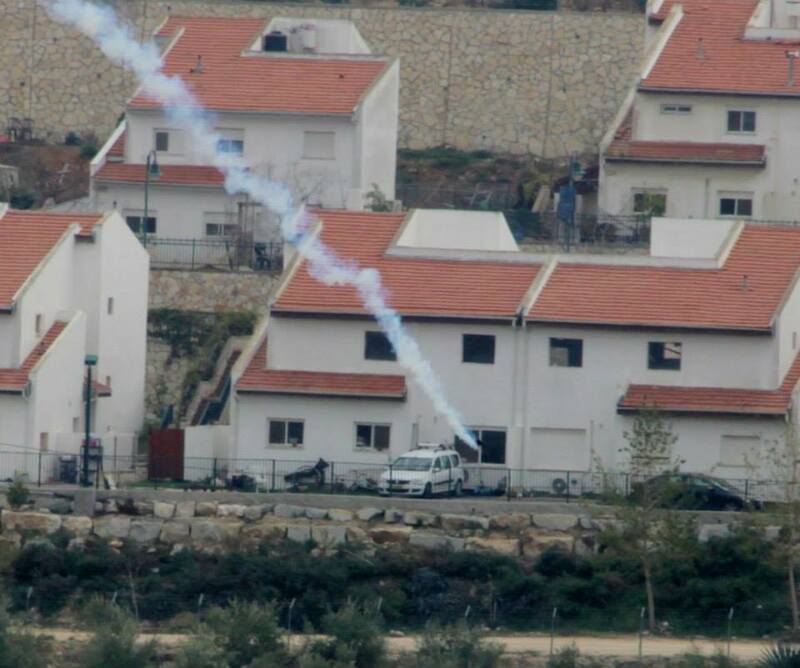 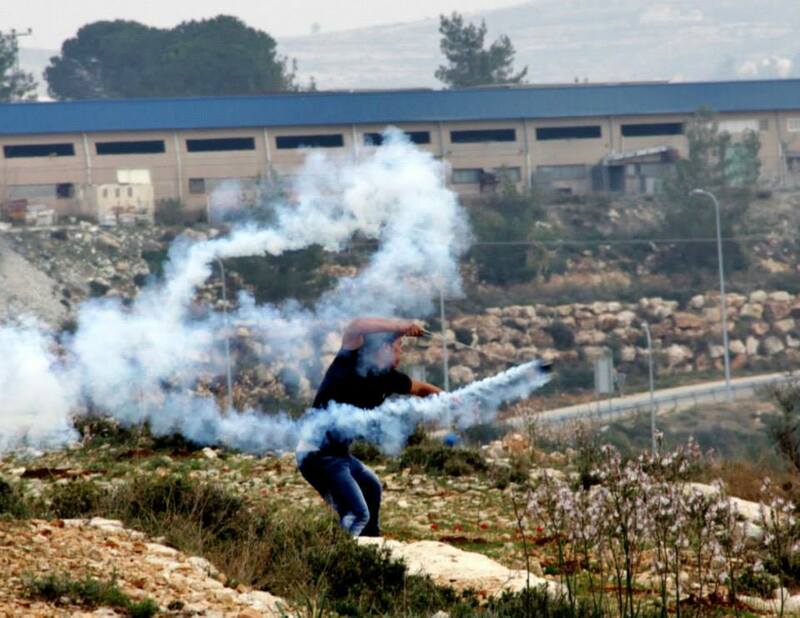 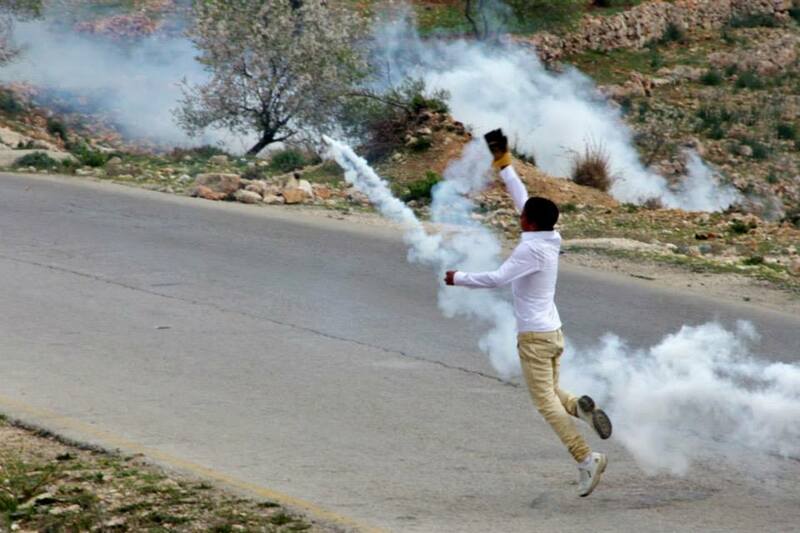 Clashes between the youth and Israeli forces erupted and lasted for hours. 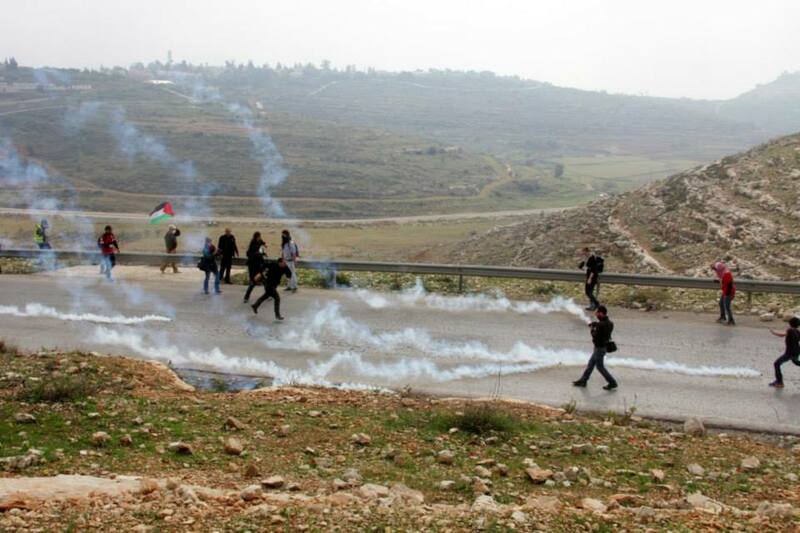 The protesters have also protested the blocking of the entrance to Nabi Saleh with a large metal gate set up by Israeli forces and the Israeli destruction of a tent set up by the villagers next to their land.